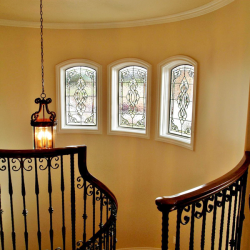 Hallway and stairwell windows are a great way to get natural light into a home, which is why they are relatively common in the Kansas City area. 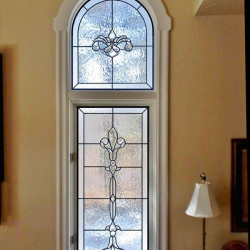 However, these spaces are often oddly shaped windows that are difficult to decorate, and if you live near a neighboring house, privacy may have become an issue as well. 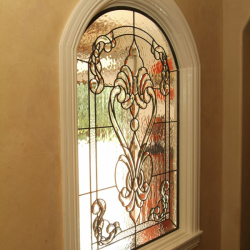 Stained glass is the perfect addition to any hallway window, and you can get the best of both worlds! 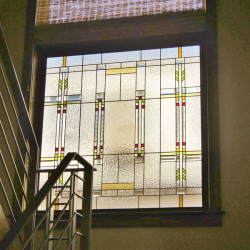 You’ll be able to keep your space private, but still enjoy natural light. 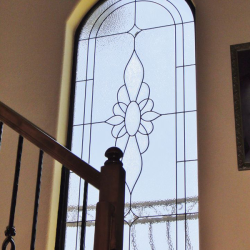 The best part about working with Kansas City Stained Glass is that we create every window custom, so you’ll be able to add our beautiful work regardless of the size or shape that you need! 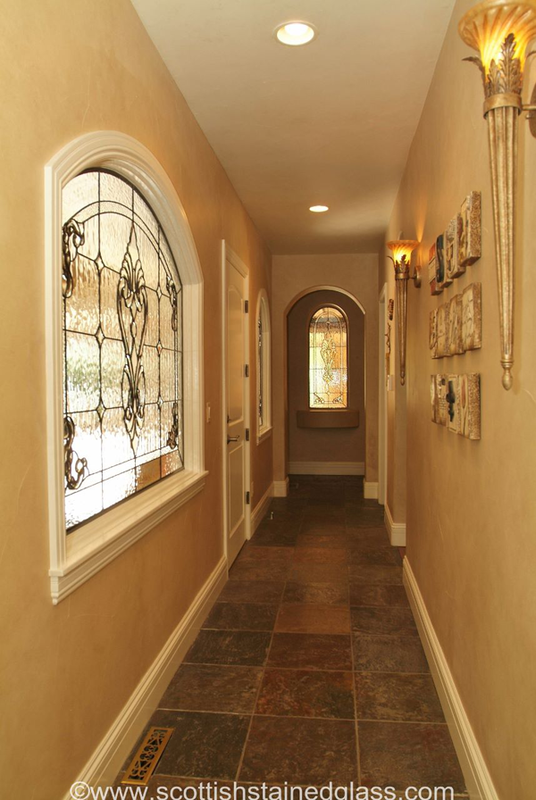 Hallway windows are often difficult to decorate, let alone find window treatments for when you want some privacy. 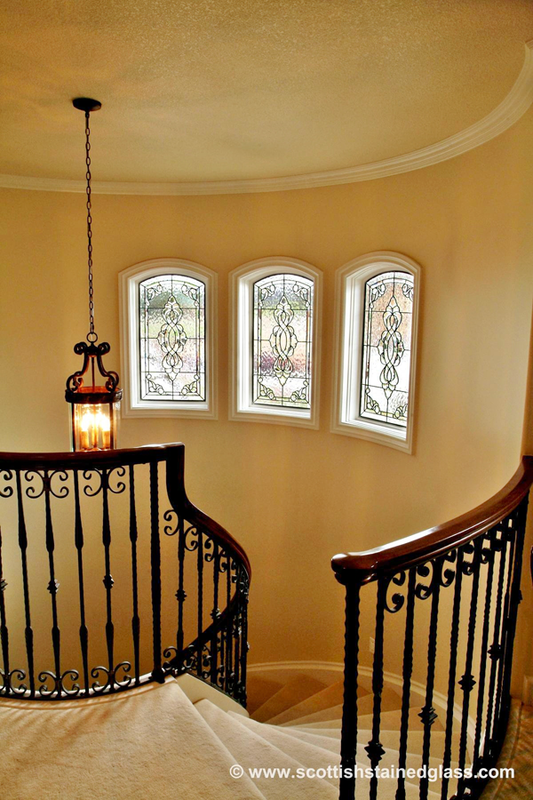 Don’t settle for a halfway solution that only solves one of your problems. 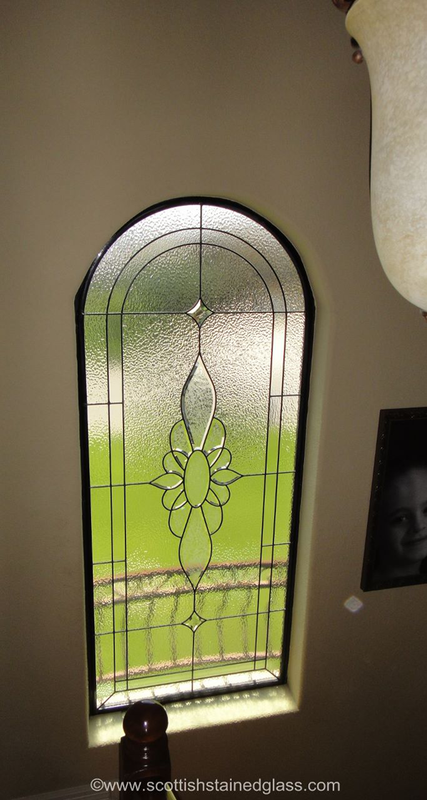 Let one of our designers show you the opportunities that you have for custom glasswork today! 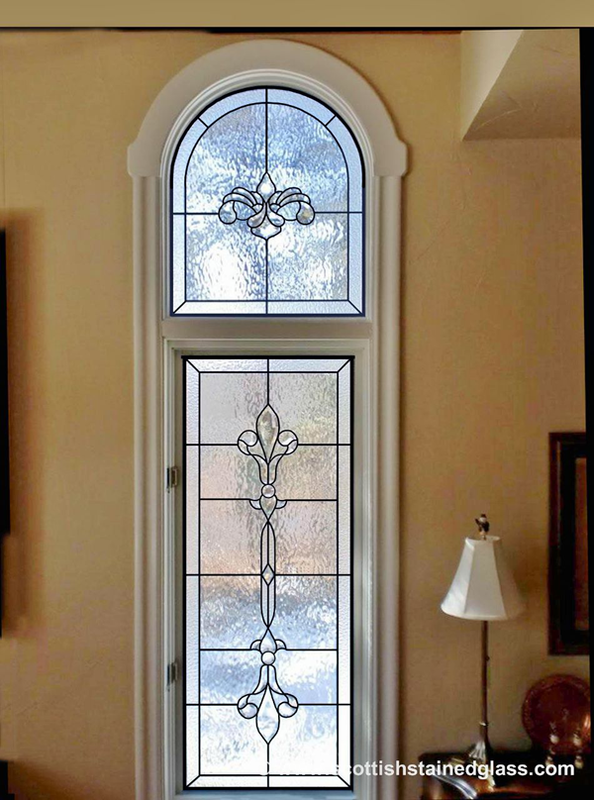 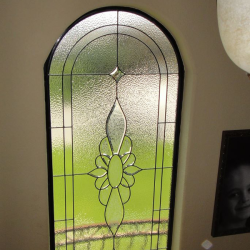 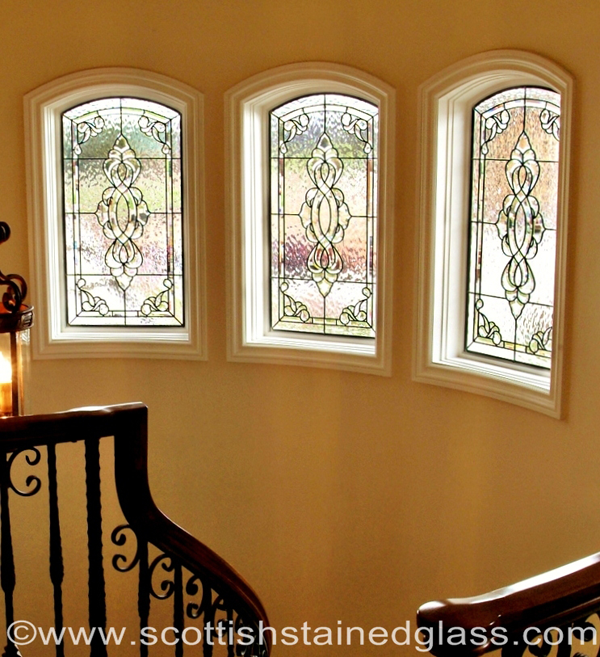 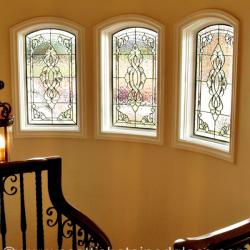 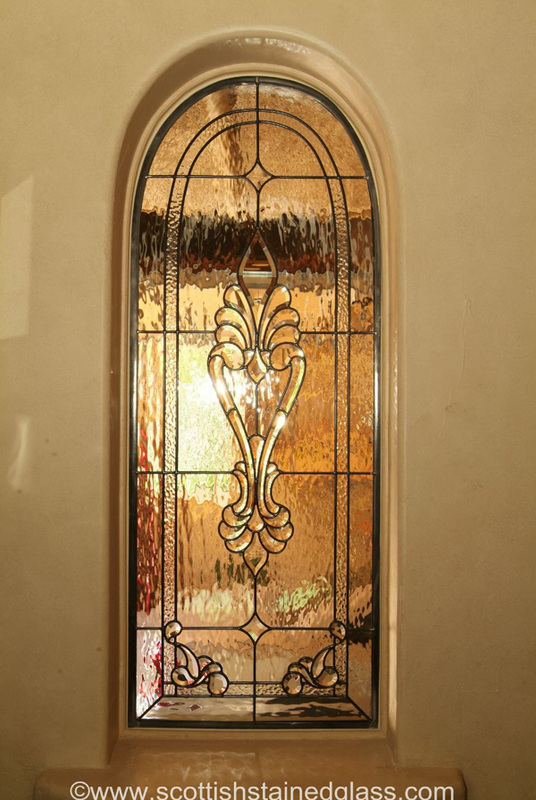 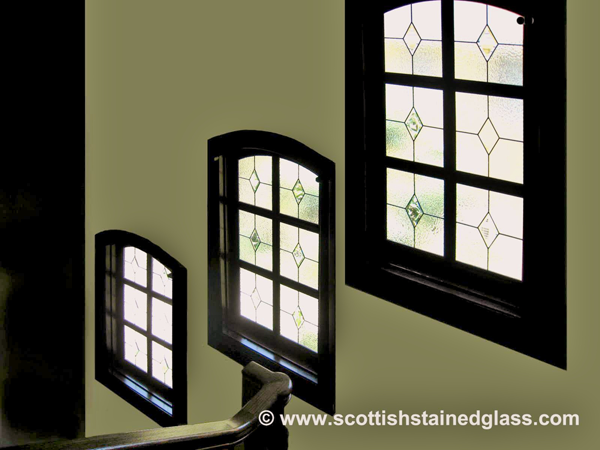 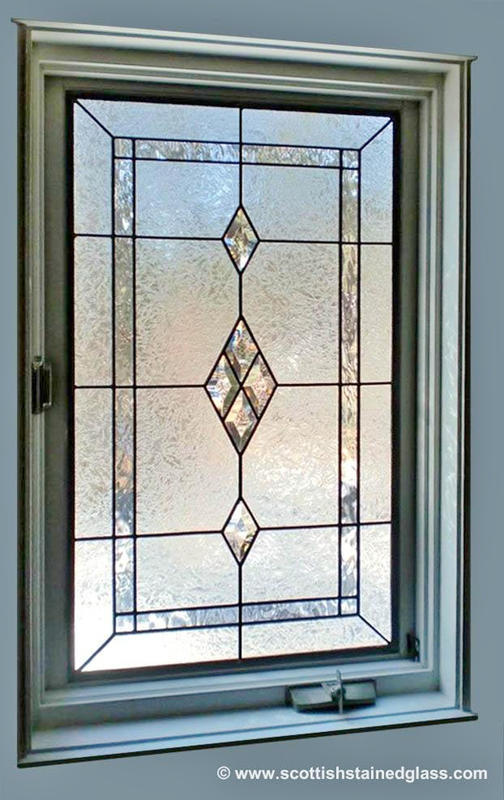 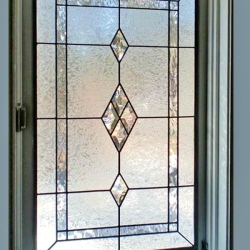 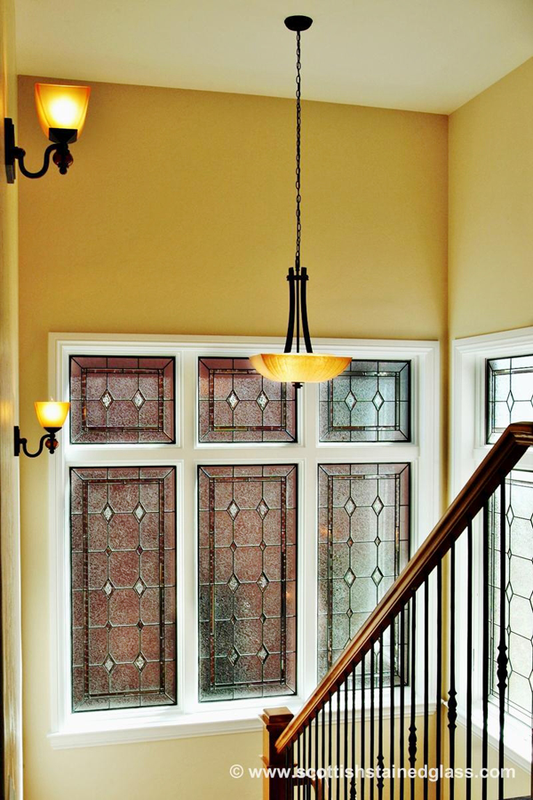 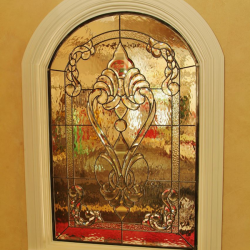 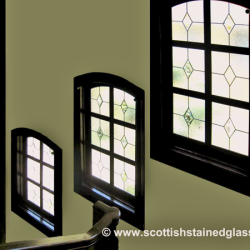 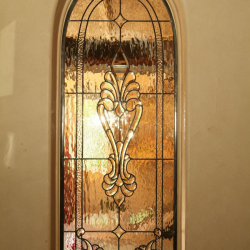 Since our leaded glass windows are all custom, you’ll have vast options for your hallway or stairwell windows. 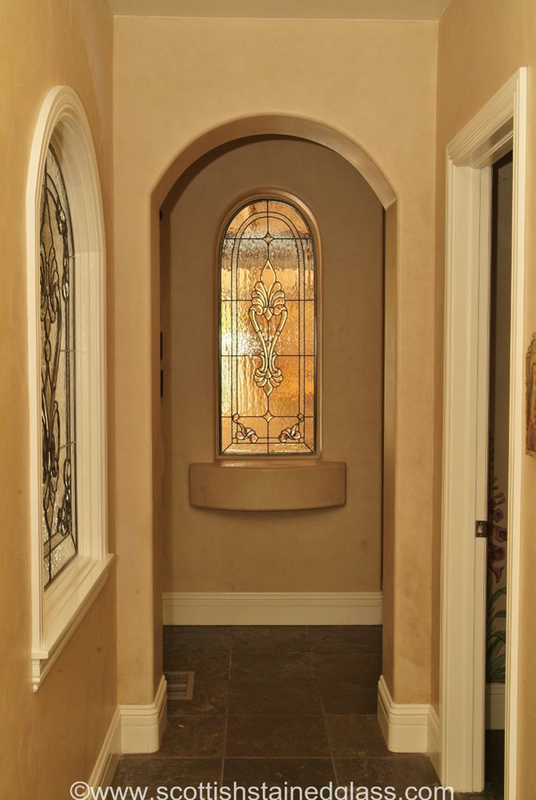 Our process begins with an in-home consultation with one of our experienced designers to go over your options. 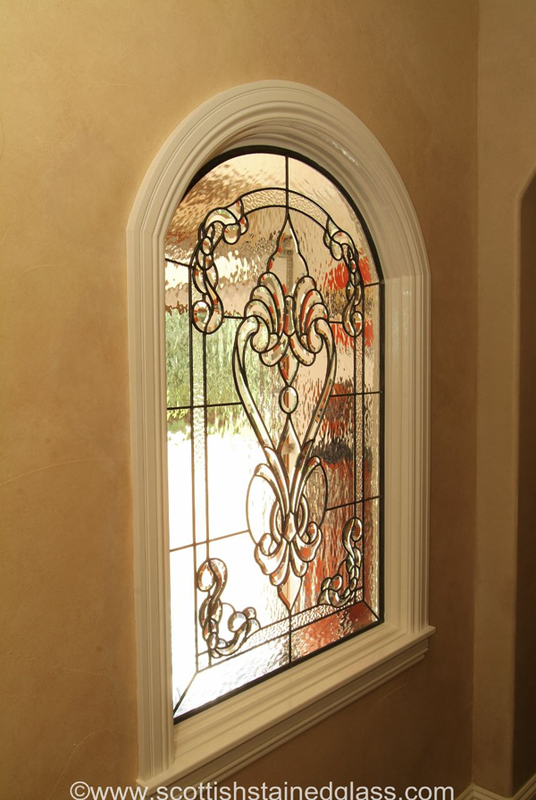 Your designer will take measurement of your windows, and then can go over several design options that you have! 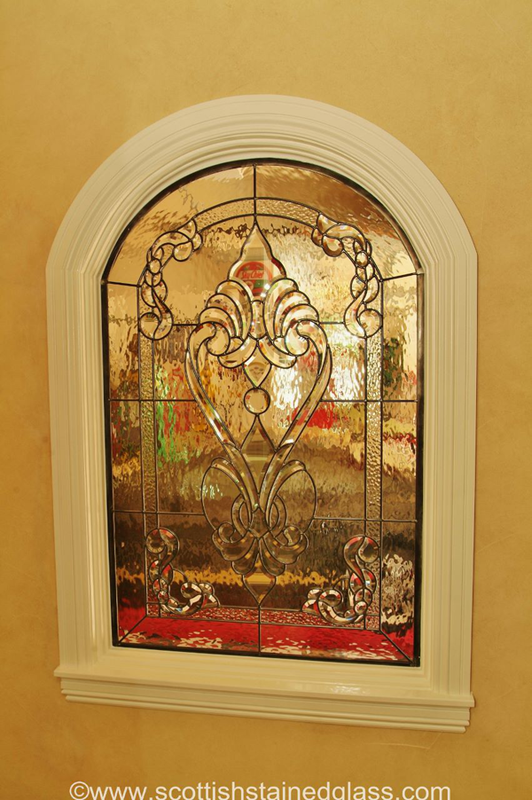 We are not limited to one style or type of glass, but instead find that we are always able to create something for each unique homeowner that we work with! 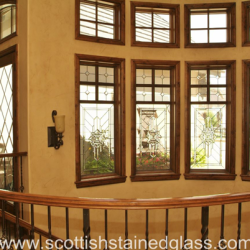 If you’re looking for something traditional, consider designs inspired by Mackintosh, Art Nouveau, Celtic knots, floral designs, or beveled glass. 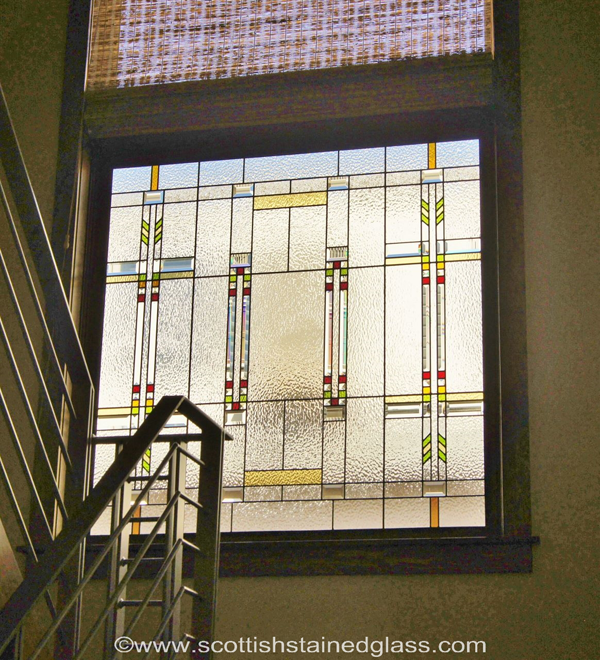 On the other hand, some of our more contemporary designs include Frank Lloyd Wright, Mission, and Art Deco. 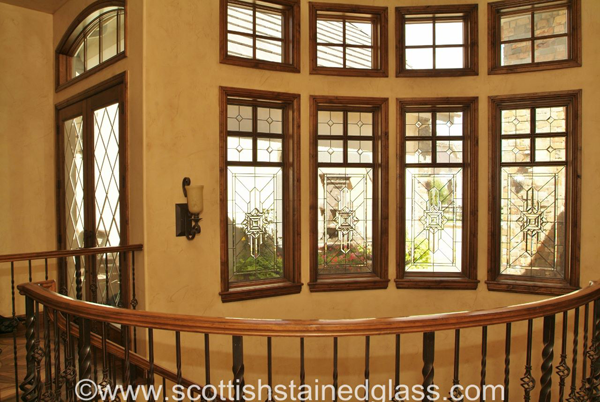 We recommend that you browse through the photos on this website to get a better idea of what designs you prefer. 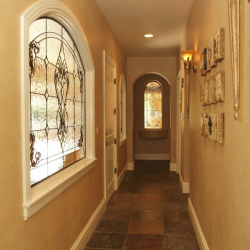 Your designer can start from there and tweak designs to fit both your space and your style perfectly! 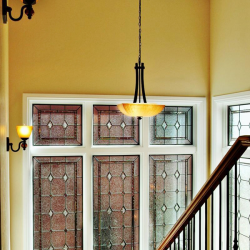 If you have a hallway or stairwell that needs some attention, or if you have any questions about our products or process, please give us a call or send an email today for more information! 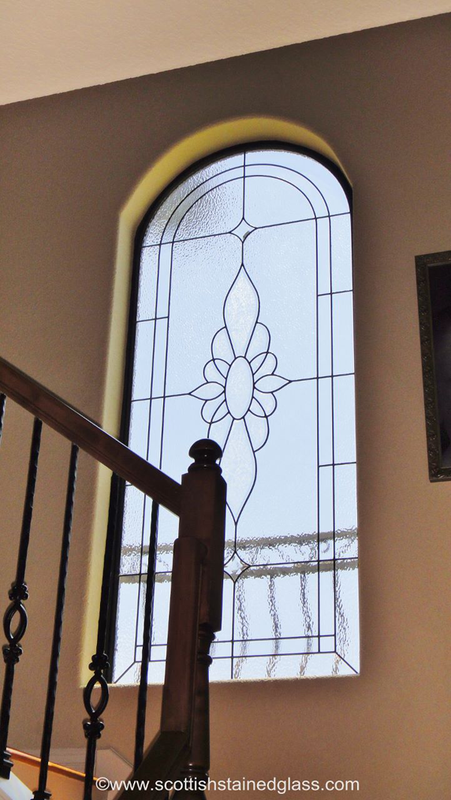 We offer a wide array of services, including antique stained glass restoration, and we can help you! 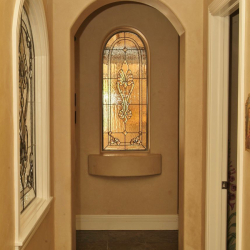 Our team is always happy to answer any questions that you may have, and we can schedule your in-home consultation right away!